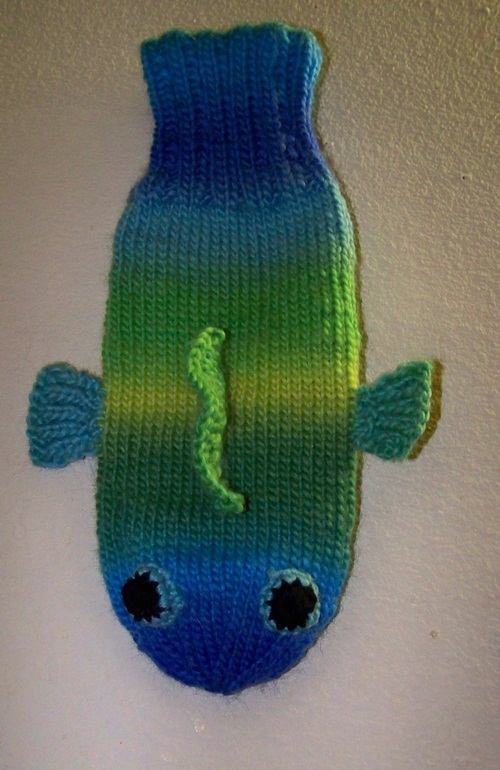 I am looking for 1 skein of Knit Picks Chroma Worsted-Pool Party color way to finish 1 little project. If you have one for sale, please let me know. Thanks. I told you these were addicting! 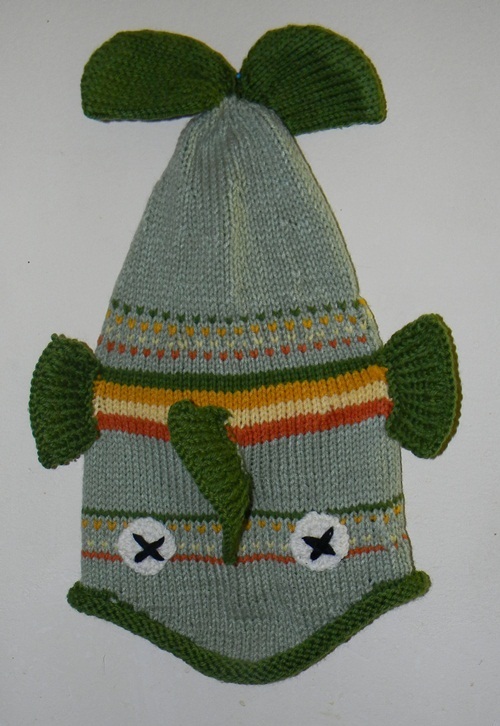 I would say if you are a knitter and haven’t tried this, but want to….Go For It! It’s a lot of fun. 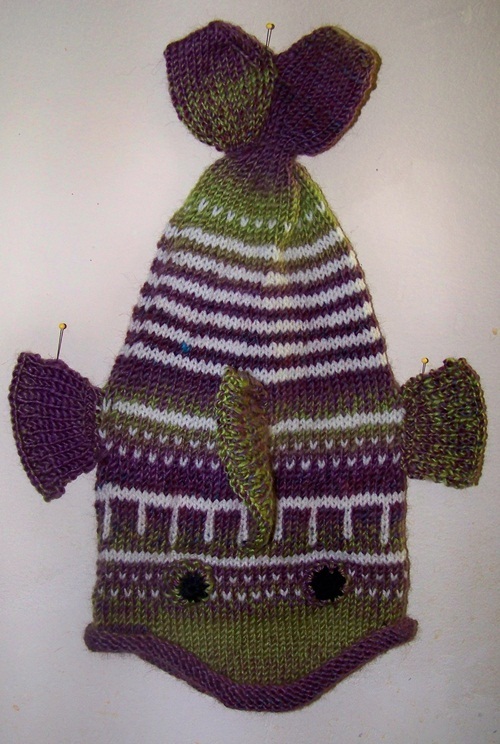 If you are a beginner at knitting, Go ahead and try this. You can always look up what you don’t understand on YouTube and Ravelry and Knitting Pattern Central. If you are wanting to learn to knit, I hope you are lucky enough to have a friend available on line or in your immediate circle willing and able to teach you. If you only crochet or don’t do any fiber arts at all, maybe you are lucky enough to have a knitting friend willing to knit one for you. But remember to show your appreciation for their efforts. “Thank yous” and “hugs” and maybe a little card would be much appreciated, by your friend. Anyway, here is the 3rd one…this one is alive too. 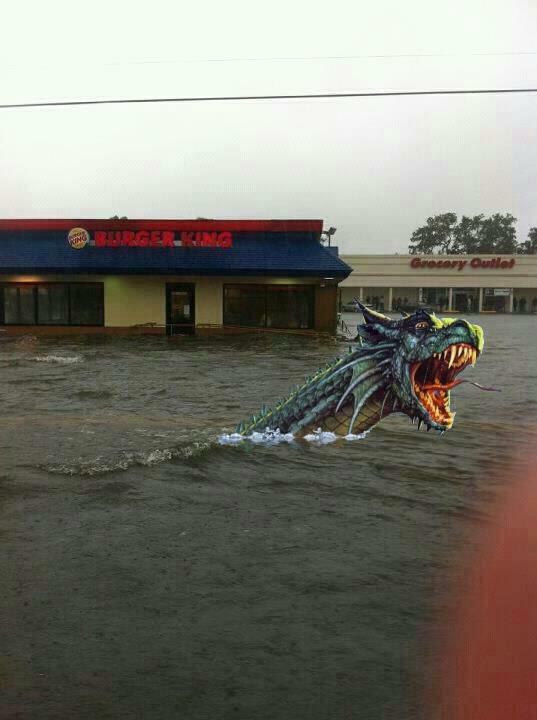 It rained all day here yesterday…13+ inches! And it’s still raining! Went to Taco Bell to pick up some tacos for dinner. Their parking lot was flooded, but not too bad. I managed to drive my car up to the drive thru. Thought for a minute I might have to get the oars out and start rowing. Knowing me, I would have just rowed myself around in circles. Some places had it worse than my neighborhood. Several streets were closed due to flooding. Thank goodness one can get most places here by using an alternate route. If it keeps raining at this rate I may have to build an ark or at the least buy a houseboat to live on. Soon we won’t be able to tell the streets from the rivers and the Gulf. 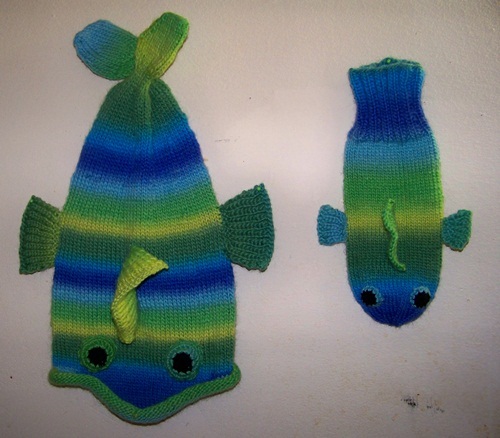 I found a pattern on Knitty for a fish hat and decided to try my hand at making the thing. It has short row shaping which I had a hard time understanding until I did this pattern. I used some acrylic yarn I had on hand. Didn’t want to use my expensive wool yarn until I could be sure I wouldn’t have any difficulty making it. 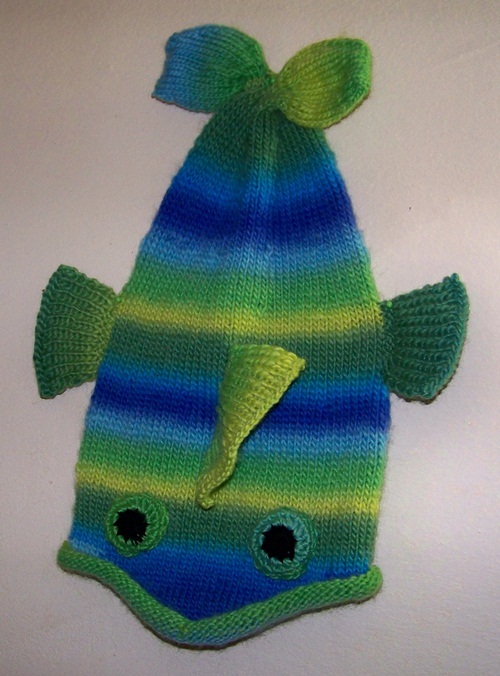 I do plan on making another one using Knit Picks Chroma Worsted in Pool Party colorway. If you want to try this pattern, just copy and paste the link below for the pattern.